We consider travelling as one of the most exciting and fascinating experiences. Although we are conscious that a forced travel can be a horrible trauma, a loss of identity and pure loneliness; in our case the cultural shock is just the opposite: The possibility to grow and explore our limits, a source of inspiration and a motor for creativity. Travel, as Miriam Beard in the “Realism in romantic Japan” described, is more than the seeing of sights; it is a change that goes on, deep and permanent, in the ideas of living. With the globalisation the airports became sort of cathedrals and internet an open holy scripture, artists are more and more using the travel as a life model, feeding their works with discovery. Our plan started in Berlin one year ago, when we got in contact with the director of Outsiders Factory, Nobuo Takamori, through the initiative of the curator WANG Chun-chi. We decided to create a collaborative exchange in which some Taiwanese artists would travel to Berlin and we would go to Taiwan. The exhibition that Takamori presented in Berlin was called Sommerreise including the artists Hou Yi-Ting, Lin Shu Kai, Adiong Lu, Niu Chun-Chiang, Ablica Wang, Yeh Wei-Li and Tsai Chi Minh. In our initiatory journey to Taiwan we did not come like the Portuguese and the Dutch explorers pretending that we are the first and that we can reach some kind of truth; we came to visit, to observe, to be impressed and to share all the curiosity through our works. 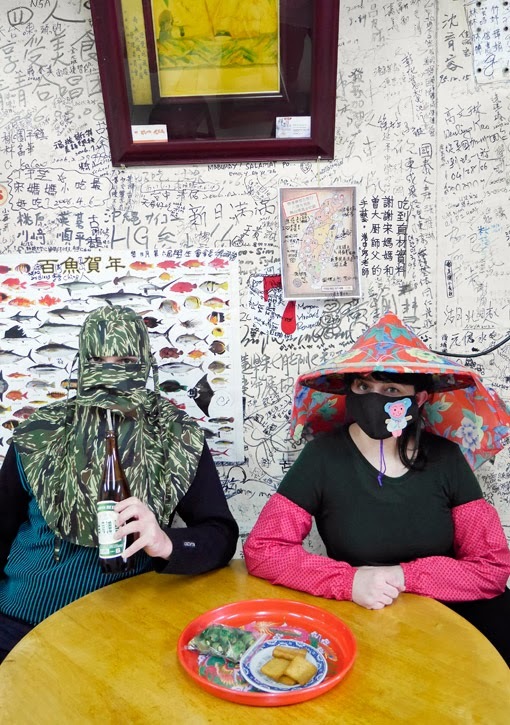 The residency project in the Howl Space turns into a laboratory, as a digestive apparatus where we transform our daily experiences in Taiwan in an ongoing installation. The idea is that we will never reach a final result, every day we transform our installation until the last day. The viewer has the opportunity to see the show in its process, as it would be a breathing being.